At LyntonWeb, we help businesses grow through our highly effective inbound strategy. We constantly work to develop products and services that not only meet our clients’ needs but that also help them take their businesses to the next level. Our passionate team of 40 skillful advertisers, developers, marketers, and designers have the experience necessary to achieve exceptional results. We provide services in web design, conversion optimization, and pay per click. 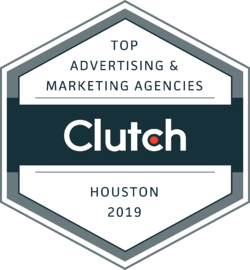 Our hard work and ability to deliver has allowed us to be selected as one of the best digital marketing agencies in Houston by Clutch. Clutch is a B2B ratings and reviews firm in Washington D.C., that connects businesses with the service providers they need in order to help them find solutions to their business problems. In order to guarantee accuracy in their results, Clutch interviews former clients and conducts extensive industry data analysis. Based on their findings, we have obtained a five star rating. The selectiveness with which they evaluate companies makes us very proud of our accomplishment. Our dedication to providing our clients with the services they need has also allowed us to be featured on Clutch’s sister website, The Manifest, where we are highlighted as one of the top inbound marketing agencies. We have also gained a presence on their Visual Objects page as one of the best digital marketing companies. We are immensely grateful for those at Clutch for honoring us with this award and to our clients for their support. We look forward to continuing our success and to helping businesses achieve their goals! Kelly serves as the Internal Marketing Manager for LyntonWeb. She lives in Auburn, Alabama with her husband and two dogs. 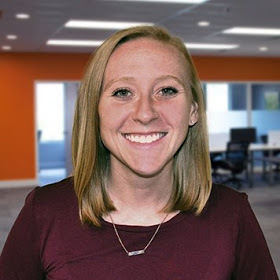 When she's not managing conversion rates and lead gen for the company, she's typically playing soccer, coaching soccer, or watching football.